This card was made using the new Cricut Lite Cherry Limeade cartridge. I really like its bright colors. The paper is from We R Memory Keepers, the reverse side of Frenzy Rumble. 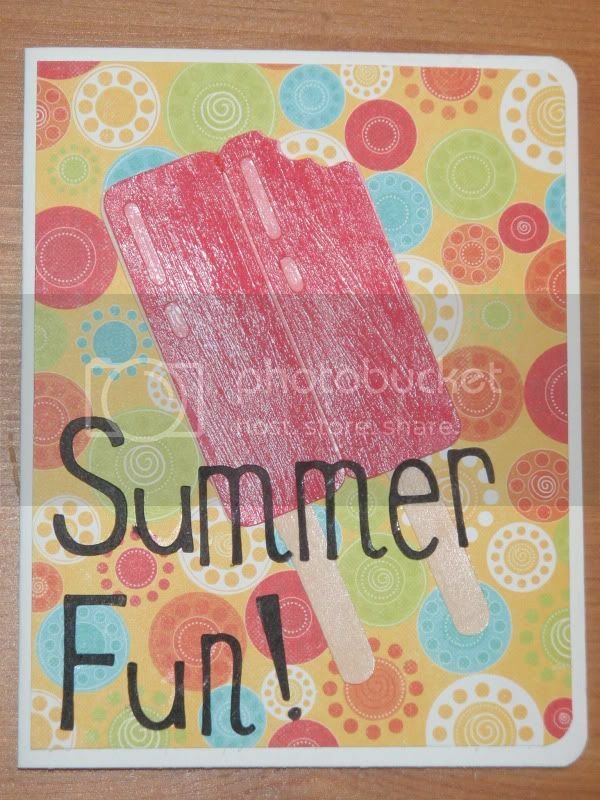 - Pattern paper cut 4 x 5.25"
- Cherry Limeaide popsicle cut at 4"; message cut at 1" and 3/4"